Bystander CPR rates vary greatly across the globe. In some places, only 5% of bystanders perform CPR and in other places as many as 70%. 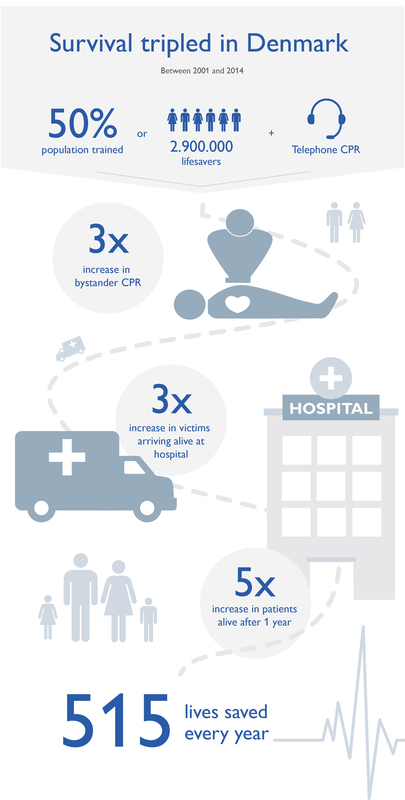 In the UK between 30% and 40% of out of hospital cardiac arrests receive bystander CPR. By increasing these bystander CPR efforts, there is potential for increasing survival rates.